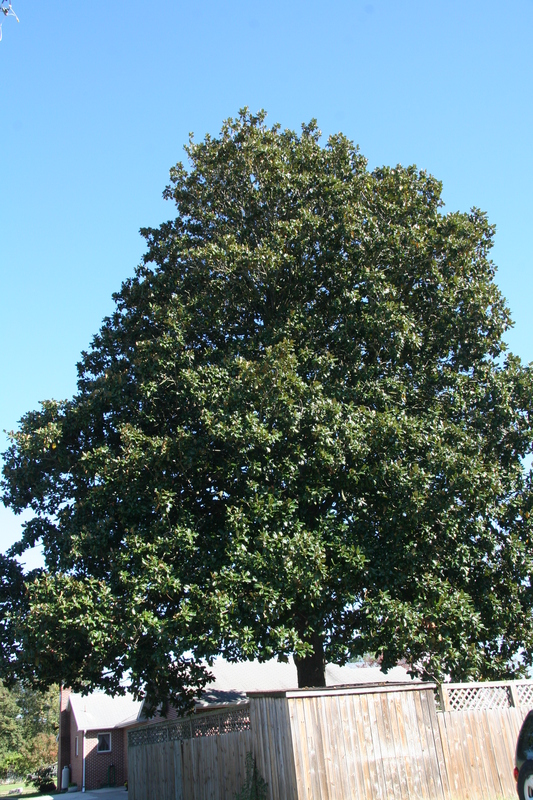 Southern magnolia is a large, striking evergreen tree. 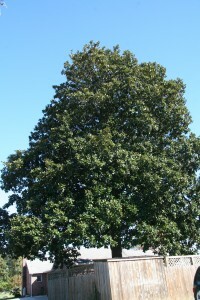 Like other magnolias, it is considered easy to grow and generally free of pests. The Latin term “grandiflora” literally means “big flower.” The tree’s beautiful white flowers measure from 7 to 8 inches across. Experts believe magnolia flowers evolved at a time when bees did not exist, and therefore developed to encourage pollination by beetles. Trees in this genus date back roughly 95 million years. Southern magnolia leaves are shiny-green on the upper surface with a leathery, rust-color fuzz below. Oblong in shape and bluntly pointed, they are 5 to 8 inches long and 2 to 3 inches wide.